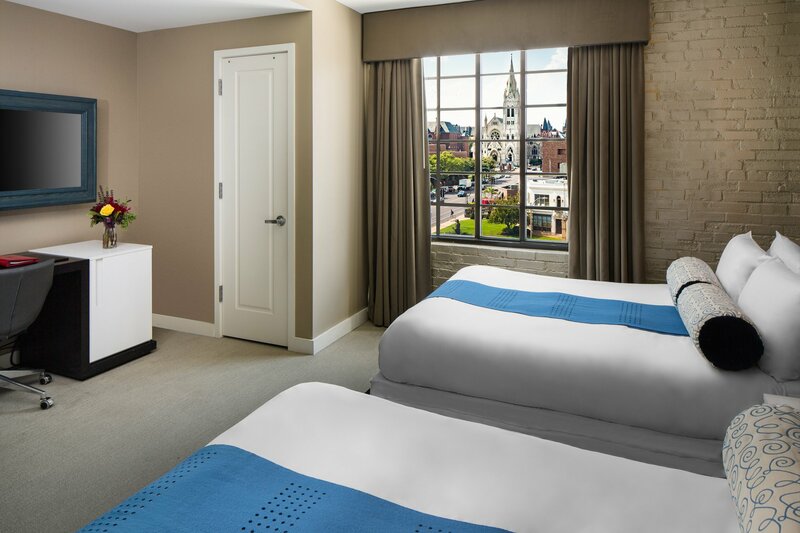 Our elegant St. Louis hotel rooms are perfect for your next visit to our city by the Mississippi. 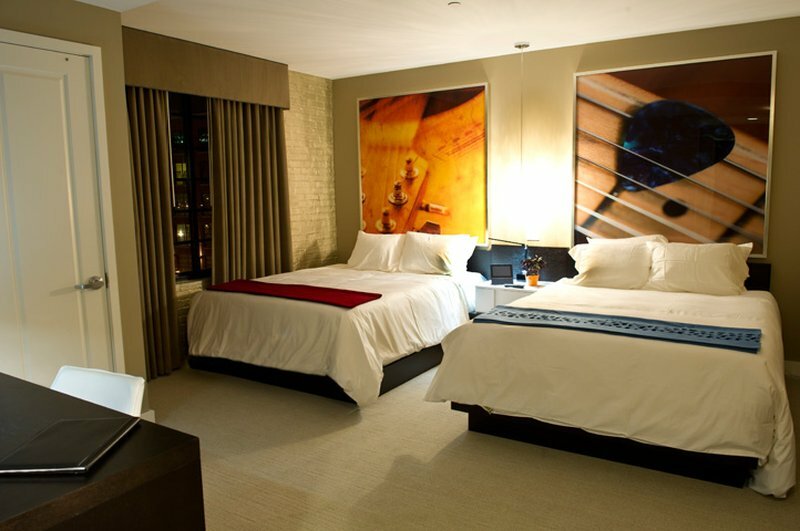 Our St. Louis hotel features 49 well-appointed guest rooms, as well as two elegant suites. 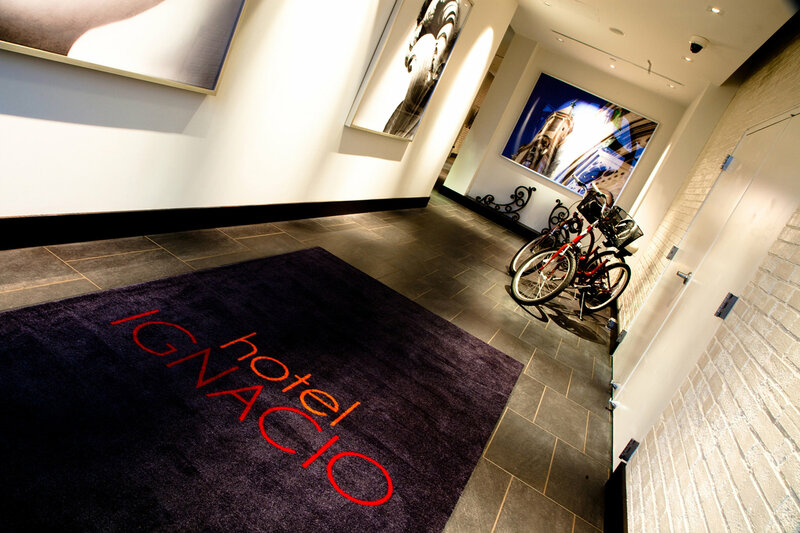 Each room of Hotel Ignacio was designed by award-winning architectural-design company The Lawrence Group, and features a modern design with a cozy ambience. Our variety of guest-rooms ensure that each guest of our hotel finds the perfect accommodation for their trip to St. Louis. Our double queen rooms are perfect for guests traveling with a family or a group, and our king-sized rooms are ideal for a business trip or a romantic getaway. 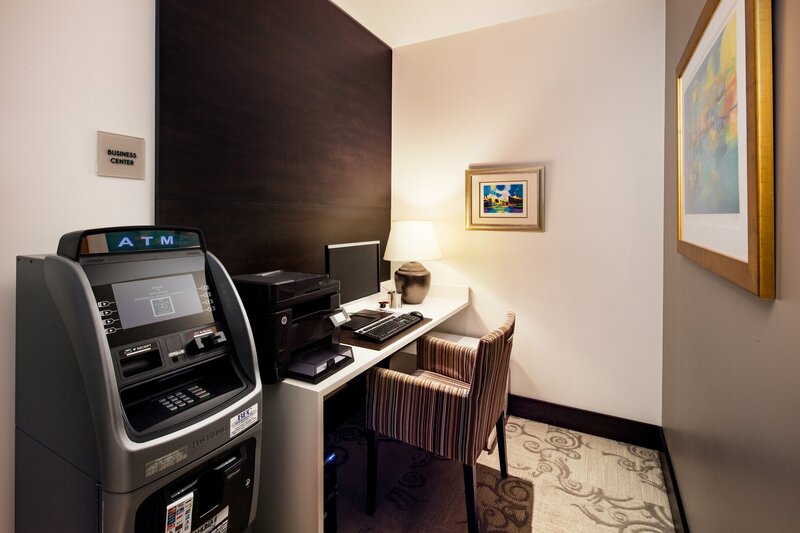 Each room in our St. Louis hotel is equipped with an ergonomically designed desk chair to spare you from backaches and fatigue. In addition, guests can rest easy on our Tempur-Pedic mattresses — the most highly recommended in America — and enjoy the highest quality comfort with luxurious bedding. 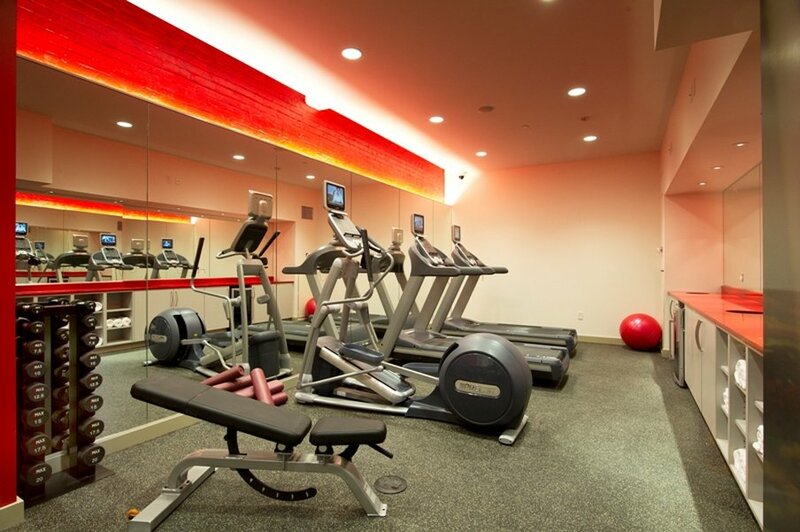 Featuring free WiFi and a fitness center, Hotel Ignacio - Saint Louis offers accommodations in Saint Louis, just 1,300 feet from Fox Theater. Guests can enjoy the on-site restaurant. 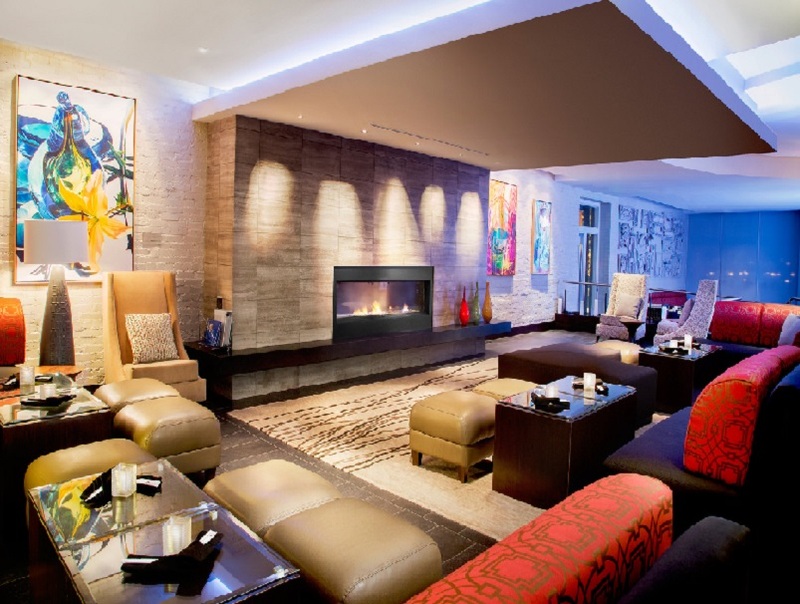 Some rooms include a sitting area where you can relax. Each room includes a private bathroom equipped with a bathtub or shower. Extras include free toiletries and a hairdryer. 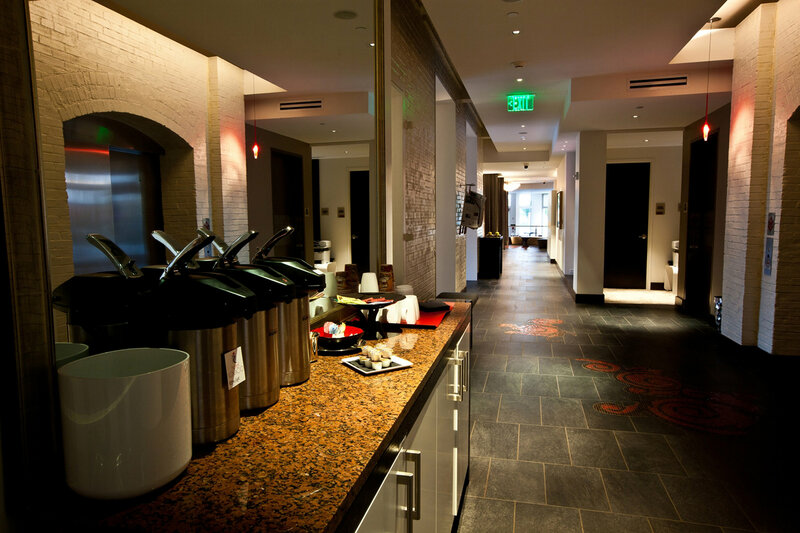 There is a 24-hour front desk, an ATM, business center and a gift shop at the property. The hotel also provides free use of bicycles. Lambert - St. Louis International Airport is 11 miles from the property. 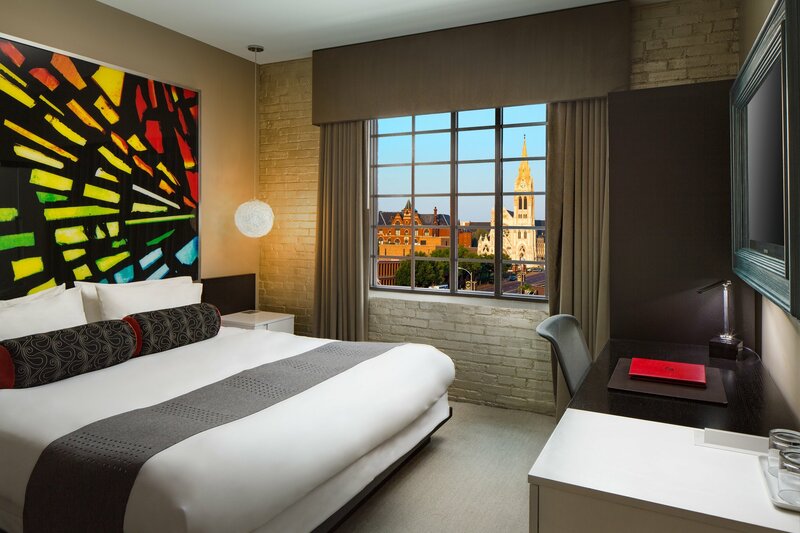 Hotel Ignacio Saint Louis, you'll be within a 10-minute drive of Busch Stadium and Cathedral Basilica of St. Louis.